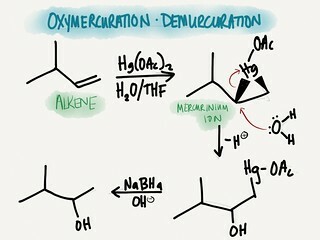 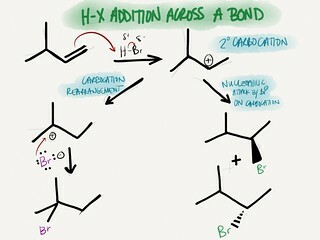 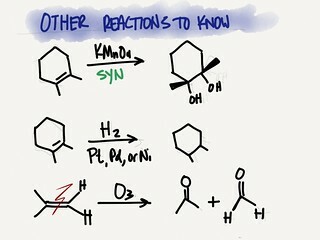 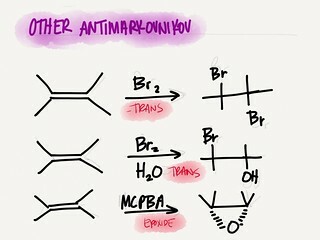 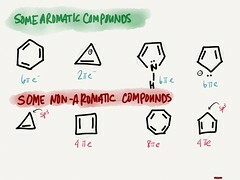 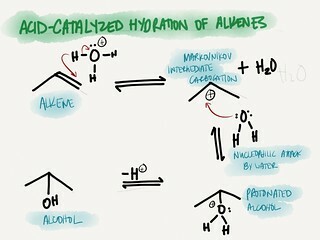 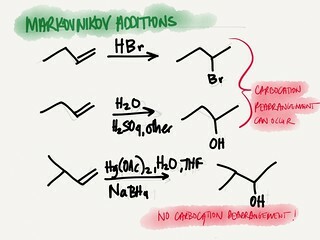 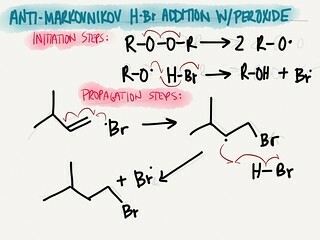 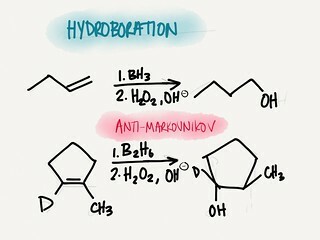 c) Oxymercuration- Demercuration ㅡ Markovnikov alcohol is formed, but no carbocation rearrangement!!! 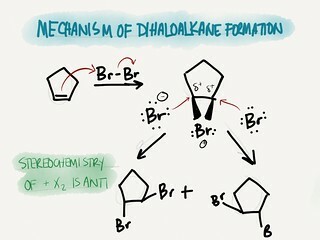 (1) Don’t worry about mechanism!! 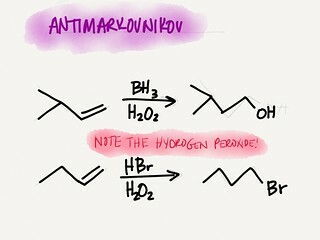 b) HBr and RㅡOㅡOㅡR ㅡ Antimarkovnikov!! 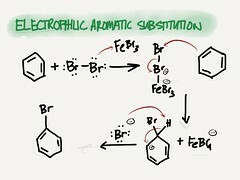 b) Remember resonance structures; these electrons are included in #!